The Bible often uses seasons to illustrate God’s work in us. 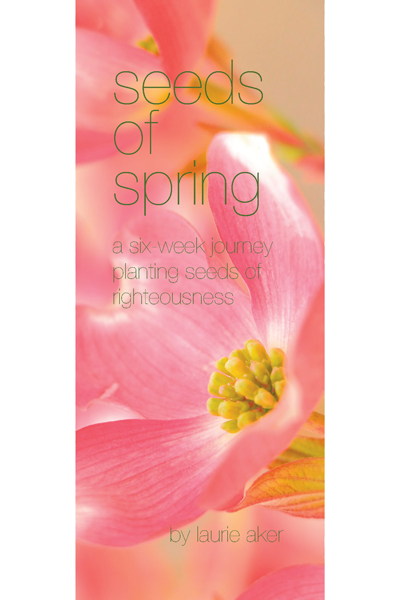 This 40-day women’s devotional uses a garden as a metaphor for growing in Christ. Each day you will receive a “Seed of Truth” (Scripture) and directions on how to “Plant the Seed” (take it to heart) and “Water the Seed” (apply). Be excited! The Lord will grow a beautiful garden of His character in your heart, overflowing with the fullness of the Lord. This study, along with its companion men’s study, Edified and Equipped, can be done together by couples!